“…engaging…Ms. Eason…draws an affectionate but unsentimental portrait of this makeshift family as it undergoes a period of sudden stress.” —NY Times. "While the overarching theme is gentrification and the gradual destruction of legendary venues (calling to mind the late CBGB), at its heart The Undeniable Sound of Right Now is an emotional love story between a particularly unconventional father and daughter." - Theater Mania. 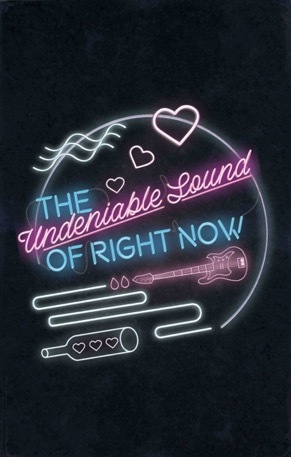 Taking place in the culturally fluid setting of Chicago in the early 90s, The Undeniable Sound of Right Now explores the generational struggle of adapting amid changing times and changing tastes. The story follows the life of Hank, owner of a legendary rock club that is struggling to stay afloat. When his beloved daughter, Lena, starts dating a rising-star DJ, Hank must contend with the destructive power of the "Next Big Thing." *Please note earlier start time, Blackfriars Comedy Series after show.